The Kissimmee/Osceola County Chamber of Commerce is proud to be a partner in our community. 2017 Chairman Chris Gent will lead the Chamber’s efforts under our newly developed strategic plan known as Vision 2020. As Kissimmee and Osceola County continue to develop, it is important for the business community to help guide and sustain positive progress for which Vision 2020 provides the framework. 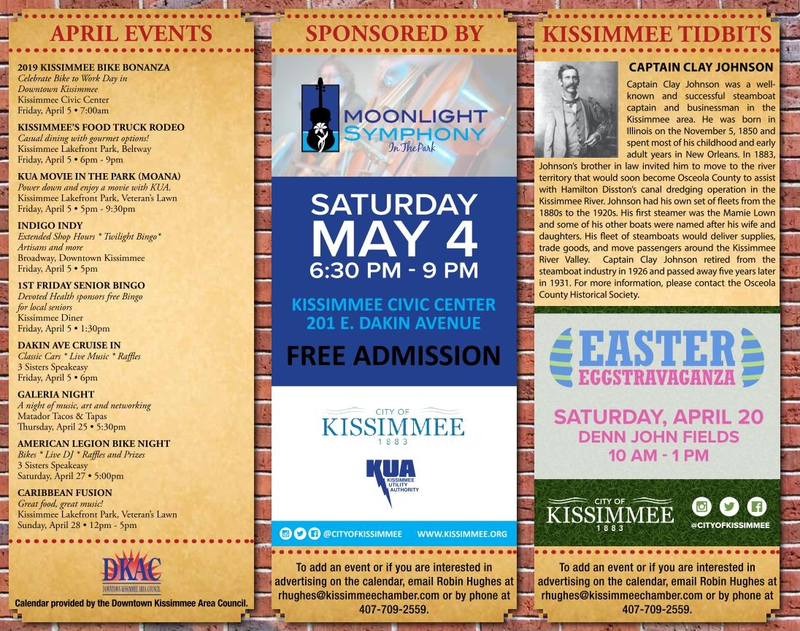 A few highlights from the plan may give you a better understanding of how the Kissimmee/Osceola County Chamber of Commerce will engage the community going forward. Our mission statement is “Champions for business and community.” This succinctly states why we exist, but where do we see ourselves in four years? Our vision statement is simply “Leading a prosperous regional economy.” We have so much opportunity and everybody is noticing, so we plan to lead efforts to maximize our potential and to do so on a larger scale than the limits of our county borders. When making decisions, we will use the guidance of our newly articulated values: creating opportunity, embracing heritage, and building unity. Osceola County has a remarkable story that truly makes us special, and every Chamber should be about creating opportunity. As a diverse community, it is important that we come together to make things happen, and every decision must reflect the strength that unity provides versus the dangers of divisiveness. When it comes to strategic plans, they are only as good as what is put into action. Our five goals are advocating for business, improving community, promoting the region, supporting business prosperity, and leading a nationally recognized chamber. Four of these goals are external to the Chamber and show our commitment to the community, while the fifth goal is internal and ensures we will continue to operate under best practices and set the example for excellence. Under each of these goals are more specific strategies that we will monitor to make certain our efforts are on track and productive. Our focus remains helping businesses prosper and improving our quality of life. To our members: “Thank You” for your support, for we cannot do it without you. To prospective members: please give serious consideration to joining our efforts and, in doing so, helping your business reach greater potential and growth. Vision 2020 makes the future look clearer and brighter than ever before – for all of us!